HOUSTON (KTRK) -- Adele's first tour in five years will make it to Houston for two tour dates in November 2016. All tickets for the November 8 and 9, 2016 shows at Toyota Center will go on sale Thursday December 17, at 10am local time via live.adele.com/north-america/. You can buy tickets at LiveNation.com. Tickets are also available at www.houstontoyotacenter.com, most Houston area Randall's stores or charge by phone 1-866-4-HOUTIX. The tour adds date, venue, acts, times and ticket prices are subject to change without notice and additional service charges may be added. Adele's North American tour dates begin on July 5th in St. Paul, MN at Xcel Energy Center and run through November 15th in Mexico City at Palacio de los Deportes. 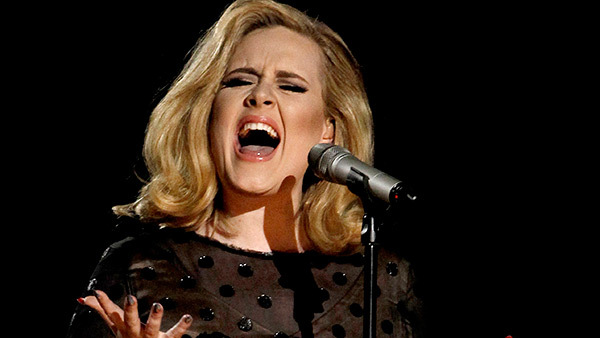 Adele's tour in the U.K. and Europe is already sold out. Adele released her third album "25" on November 20 and it went straight to No. 1 in more than 100 countries. In the U.S., Adele's "25" is the only album to sell more than three million copies in one week and the only album to sell more than a million albums in two separate weeks.